Want to reach more buyers? Advertise with ASPA. Reach THE target audience of buyers of t-shirt printing and screen printing products. The American Screen Printing Association website ranks high on many of the important keyword terms searched by people who want to learn about apparel screen printing. In fact, American Screen Printing Association typically ranks #1 in the world on all major search engines under 'screen printing associations' and 't-shirt printing associations'. With thousands of members worldwide and thousands of page views each week by visitors interested in screen printing, this is a great opportunity for you to reach thousands of targeted buyers. The ASPA websites receive thousands of visitors each week from all over the USA and worldwide and they have an interest in all things relating to screen printing and t-shirt printing. This is the ideal audience to advertise your company's products and services. ​2019 ASPA Ad Rates (payable upon insertion, no discounts). ​Custom ad sizes available by quotation. Customer supplied ads--no art charges. Art charge for ASPA produced ads: $36. Average 'open rate' is 21%. Includes a 720X90 banner and (1) paragraph of sell copy at the bottom of newsletter. Cost: $480 per edition. Exclusive newsletter for surveys, polls. (1) line text link ad in all ASPA outgoing mails: $480 for 4 months. ​(1) 300X100 banner ad in all ASPA outgoing emails: $600 for 4 months. Home page: $195 per mo. 'Case study' article (techniques, applications, unique technology, etc.) 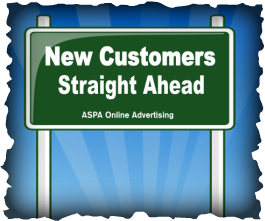 about your product or service running featured on the ASPA homepage for (1) month. Your article is then archived for long term access on the search engines. ​Articles must be custom written for ASPA website only, no reprints. 1 line of sell copy with text link.